As communities consider syringe exchange, the first step is education about it, and about the need for this public health intervention in their local communities. Syringe Exchange Programs in Indiana, the guidance document prepared by ISDH to provide a starting point for communities seeking information about SEPs or considering this intervention for their own community. Initial community level data about the need for syringe exchange provide Hepatitis C and supplemental data for each Indiana county. Lack of Syringe Services Adds Up to Big Costs is an info graphic created by amFAR(The Foundation for AIDS Research) the shows the long-term cost of treating those who contract HIV or HCV versus the cost of syringe services programs for Scott County. Convene partners to discuss the issues and options. The next step is to engage partners to share this information and to discuss opportunities. This involves convening conversations throughout the community with many partners who have an interest. Assess readiness for a syringe exchange in your community. 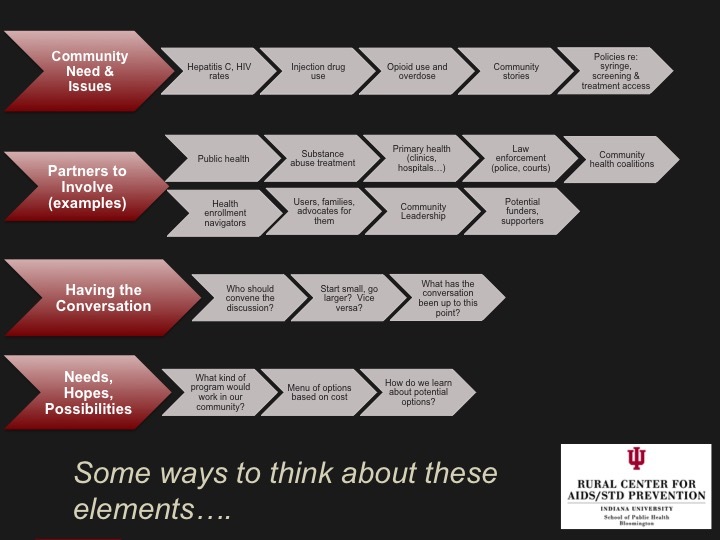 Contact RCAP to initiate a readiness assessment in your community. This assessment is in partnership with the national Harm Reduction Coalition. 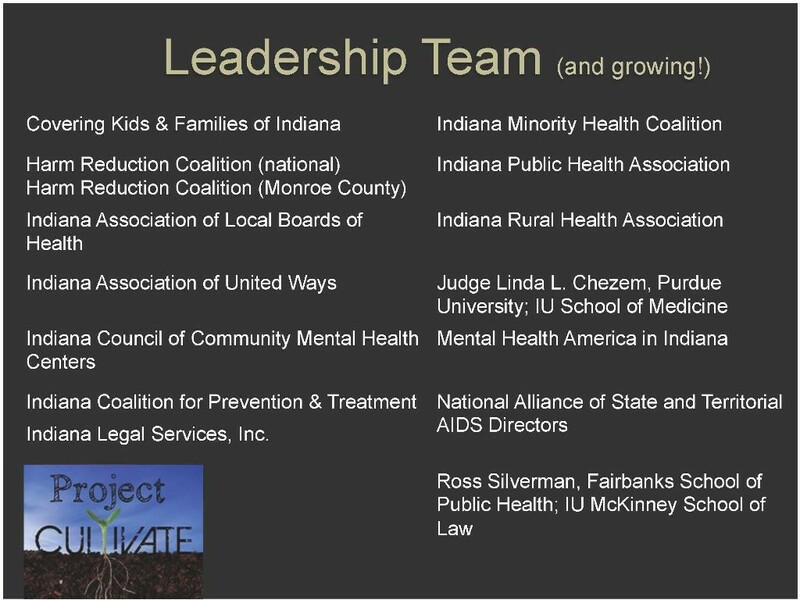 Project Cultivate’s Leadership Team brings many years of combined experience, with specific expertise in specialized sectors of the health care, criminal justice, mental health, substance abuse, state government, nonprofit, community service, public health and HIV/AIDS prevention, intervention and care. Their collective motivation, enthusiasm, expertise and insight make them uniquely qualified to guide Project Cultivate and assist in our service to local communities throughout Indiana.